Today's manicure is in dedication of a very special and very brave little girl. 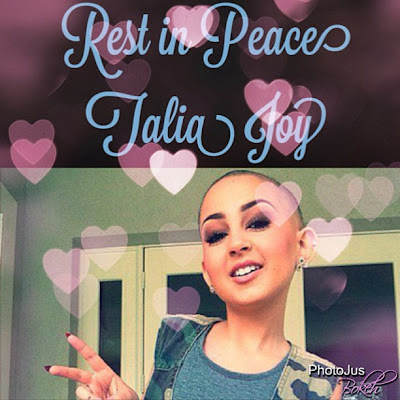 Talia Joy Castellano was a very talented member of the beauty community and sadly lost her fight with cancer. So many blogs are showing our support to her family during this difficult by posting mint manicures based on the last manicure Talia posted on her Instagram account . This manicure is two coats of Barry M Ridley Road textured nail paint and then some accent dots in Barry M Boots Limited Edition Purple. Just Keep Swimming Talia. You can see all the other mint manicures below. Beautiful mint -- love the dots & textured finish! Unique mani for a unique gal who will be missed. Love the textures! Great accent with the pink dots! This is lovely. I wanted to try a textured mint. I will miss her.